August 11, 2018 July 26, 2018 by Beau H.
The stylish leather jacket you need in your wardrobe this fall. Is it any wonder it comes from Taylor Stitch? If you take one spin through the pages of The Style Guide, you’ll discover quickly that we sure do love Taylor Stitch. The California-based brand makes darn near everything that stylish guys (like yourself!) 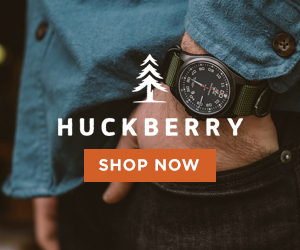 need when it comes to menswear essentials, from the Taylor Stitch California Shirt to the Rangeley Sweater to the Jack Short-Sleeve Shirt to, well, the Presidio Jacket as seen at the top of the page. It can be argued with ease that every guy needs a stylish leather jacket in their wardrobe, particularly as the calendar creeps toward fall. Seriously: The right leather jacket can team with dark denim, rugged chambray shirting, leather boots … you name it. And y’know what’s the even better news? If you pre-fund the absurdly stylish Taylor Stitch Presidio Jacket right now, that’s exactly when you’ll receive it (October or November, to be specific). What else is there to love about the Presidio Jacket? Plenty, my friends. Plenty. 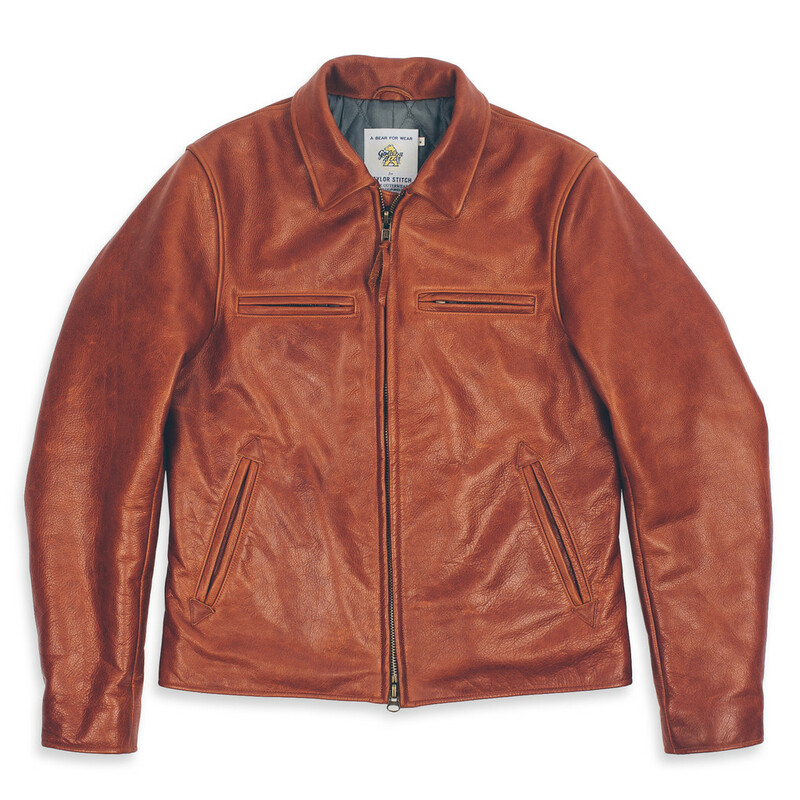 For starters, your new favorite leather jacket is handmade in San Francisco in partnership with Golden Bear — you might recognize the lauded, classic outerwear brand from their work on the amazing Taylor Stitch Moto Jacket. So, the Presidio Jacket has that going for it. The best construction and materials money can buy — an absurdly great jacket. The leather is custom tanned, making for a meticulous and careful process that results in one heck of a jacket. The 3oz. Cognac leather used to make the Presidio Jacket results in a distinctive, classic piece of outerwear that’s going to age wonderfully. It’s also cut in a classic bomber jacket silhouette, all the better for wearing with everything from a classic white Oxford and olive chinos to a heather grey henley and black denim. 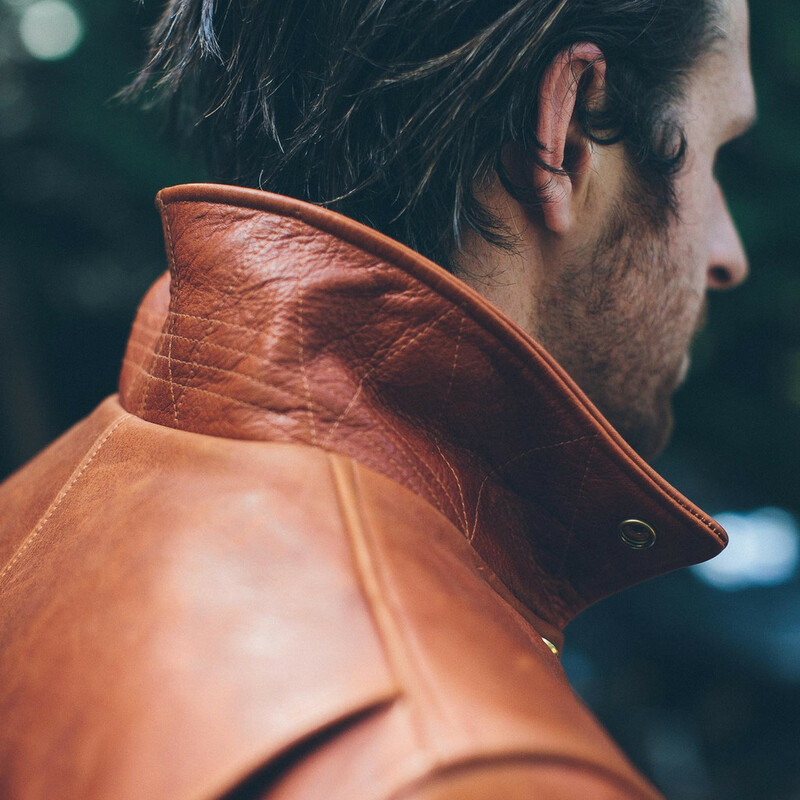 Does that make it one of the best leather jackets for men? Heck, it just might. The lining — made of nylon and grey wool — will keep you toasty without stifling you on chilly fall days, while the welt handwarmer pockets are lined in cotton flannel for even more warmth. Yessir, the Presidio Jacket has a ton going for it, absolutely. It’s simply an absurdly beautiful and classic jacket — the Presidio Jacket is surely going on my fall wish list. And the great thing about it? You’re getting the Presidio Jacket for quite the deal ($200 off the regular price of $998). Again, it’s got classic versatility built right in, too. From an indigo denim shirt and dark blue jeans to a white Oxford, a knit tie and khaki chinos, the Presidio Jacket is destined — destined, I tell you — to become a new menswear essential for you. Easy as that. Are you taking a chance on pre-funding the Presidio Jacket now? How would you style this thing? October 4, 2016 October 3, 2016 by Beau H.
Editor’s note: Thank you kindly to US Authentic for sponsoring this post. All opinions are 100% honest and completely my own. The Baron — a classic reimagined for modern times, and paired up here with an Old Navy henley, the Slim Mercer Denim from Mott & Bow, patterned Richer Poorer socks and Beckett Simonon chukka boots. What’s one surefire to upgrade your style while sticking to tried-and-true classics? Add a killer piece of outerwear — particularly as we roll into fall. Essential, investment-worthy pieces are talked about a lot here at The Style Guide. Be it sturdy selvedge denim, stylish boots or a rugged Henley, each piece lends itself to timeless style. That sense of timelessness is also true with a beautiful, built-to-last leather jacket. So when US.Authentic reached out to help me prep for fall, I was more than ready to take on the change in seasons in style — as you might have seen in last week’s Style Pick of the Week post, also featuring the Baron, a fantastic A-1 bomber. A rugged leather jacket can be a rather daunting purchase for which to shop — particularly if you don’t know where to start. It can be even more intimidating to style on the daily — however, a classic, handsome piece like the Baron helps you tackle that problem swiftly. Fashioned for modern times with authentic specs made to match those of World War II (when flight jackets really were built for the field), it’s a piece that’s easily wearable in 2016. Perhaps the best way to style it leans both rugged and classic. Make no mistake, The Baron is the type of jacket to wear whenever you can — yes, even over a navy knit tie and a white Oxford shirt. However, the Baron is at its best when matched with pieces like the ones seen in the photo at the top. The Baron — just as with other leather jackets — works particularly well for casual wear. In this case, a slim short-sleeve henley plays nicely off the rich leather of the Baron. And although slim selvedge denim would be a reliable styling choice, a pair of natural denim offers a solid change of pace from the everyday. And as with the crisp wingtip boots featured in last week’s post, unconstructed brown leather chukkas (from Beckett Simonon) mix high-low style easily. While your first instinct might be to reach for sturdy lug-sole boots, chukkas offer a sleek contrast to the henley and the vintage vibes of the Baron. Of course, this is but one #OOTD in which a finely crafted leather jacket works. With any number of US Authentic jackets — particularly the Baron — you’re getting fine attention to detail, excellent styling potential and sturdy construction (trust me, this jacket is a beast — perfect for layering throughout the fall). Best of all, you can complement it with sharp, timeless accessories like aviator sunglasses and a beautiful brown leather watch. It’s worth stating again — a timeless jacket like this one will never go out of style. Shop this jacket now via US Authentic, and check out more #menswear looks on Instagram. Get the Baron now, and check out US Authentic on Instagram for more. October 1, 2016 September 26, 2016 by Beau H.
Editor’s note: Thank you to US Authentic for kindly sponsoring this post. All opinions are 100% honest & completely my own. To see other Style Picks, head here. Set for the season with my U.S. Authentic Baron Jacket. Denim Shirt by JackThreads. Slim selvedge denim by Raleigh Denim Workshop. Greer Wingtip Boots by Johnston & Murphy. Sunglasses and timepiece by MVMT Watches. When the calendar turns — ever so slowly — from the heat of summer to the crisp breeze of fall, I start to get excited. If you’ve been reading The Style Guide, you know that fall is an essential time for fans of rugged menswear — it’s the perfect time to break out those trusty leather boots, slip into some sturdy selvedge denim and relish the chance to tie it all together with great outerwear — like a classic leather jacket. That’s certainly the case with today’s Style Pick of the Week, and it’s fitting that I’ve teamed up with US Authentic to showcase how I get ready for fall. Not familiar with the brand? Start learning — these jackets are perfect for the months to come. The season is a time of transitions that calls for classic style and added layers to fight the cold, plus a dash of durable appeal. In that regard, US Authentic leather jackets incorporate everything you could want and then some. 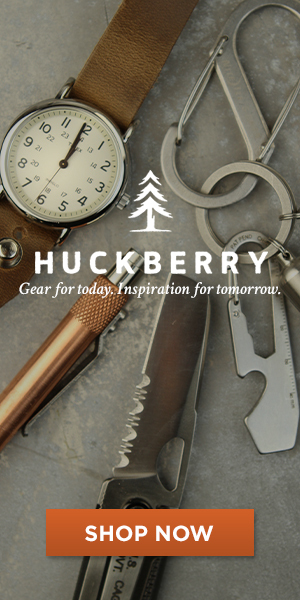 They’re packed with heritage inspiration, high-quality materials and a rugged-refined feel. That’s absolutely true of the Baron, an A-1 jacket that manages to capture vintage vibes and modern style all at once. The brand takes a similar approach with other silhouettes, including an A-2 flight jacket and a bomber jacket, but the Baron was my pick — and for good reason. The Baron is built to authentic specs, just like the old days — that means vintage goatskin leather, a 100 percent cotton lining and sturdy 100 percent wool rib knitting at the collar, cuffs and waistband. The jacket’s materials are true to the World War II era, and you can definitely feel it — the Baron is sturdy, durable and yet slim-fitting and timeless. The rich brown leather color and dark brown wool cuffs fit right in with the deeper tones of fall. too. This is certainly a jacket you’re going to get a lot of use out of in the season ahead (and well beyond). I’d suggest styling it much as I did — with a rough-and-tumble denim shirt, sturdy selvedge and your favorite pair of wingtip boots — and then heading out to explore a park or grab a coffee. Of course, a classic jacket like the Baron can be complemented nicely with flight-inspired accessories like stylish Aviator sunglasses. The rest of the time, I’d suggest you stick with similarly retro-inspired style — pair the Baron with a durable long-sleeve henley, sharp chukka boots and slim denim (and if I were you, I’d look out for a very similar #OOTD next week). Seriously, the timeless style of the Baron really can’t be topped — you’re getting a piece of outerwear modeled on a classic silhouette, with the specs to back it up. Heck, you could wear this jacket every day for months on end. That’s investment-worthy style at its finest. Are you ready for fall yet? I sure am. Pick up the Baron here, and follow US Authentic on Instagram. September 5, 2015 September 3, 2015 by Beau H.
A vintage piece that combines rugged cool and heritage quality. We’re just into September, which means that it’s time for this blogger to … switch from writing about polos to leather jackets? Well, when the offering is as stellar as the latest release from Taylor Stitch, it’s definitely time to cue up a few paragraphs. Taylor Stitch, makers of excellent slim chinos as reviewed on this blog, has really hit it out of the park with its latest endeavor, the Moto Jacket (part of the broader Moto Collection).The pre-sale campaign for the Moto Jacket started just about a week ago, and consumers have responded — this bad boy is a whooping 770% funded. It really does have all the pedigree (and styling potential) that you could want from a great leather jacket — and you’d certainly expect that given the $875 price tag. It’s made in partnership with renowned sportswear purveyors Golden Bear and based off a 40-year-old jacket produced by the same brand. Yet, the two have taken the principles that made the original so great, including a vintage racer silhouette, and brought the entire item into the 21st century. A contemporary fit and quilted lining keep this jacket sleek and functional. The thick 3.5oz. steerhide leather looks as if it should break in beautifully over time, and a diamond quilted lining should also keep you insulated from fall’s chill. The jacket looks to fit slim and contemporary, a definite positive that ensures it’ll pair up well with both tailored cords and rugged denim. Leather jackets are one of only a host of outerwear options for the colder months, to be sure, but it’s fall’s answer to the spring denim jacket — able to replace your blazer, if need be. The trickiest thing about it (other than having to fork over that much cash) will definitely be the waiting — it’s set to start shipping around November 23. So, there’s need to buy anything for Black Friday, right? On the plus side, its current price is $300 lower than the regular price. And at the end of the day, it’s truly a jacket that should last at least as long as the one off which it was modeled — and likely beyond that. Pair it with a henley and some dark denim, and consider yourself set for many seasons to come. What’s your reaction to this moto jacket? Would you wear it (or spend the cash) and how would you style it?